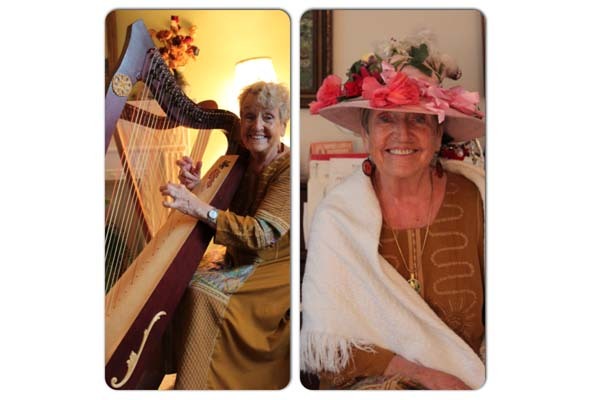 Marguerite Bilodeau is a harp-playing Raging Granny. Marguerite Bilodeau will never mind if you ask her how old she is, because age is something she celebrates. Bilodeau, who is part of the Raging Grannies, is set to begin her latest adventure—a 21-day tour, with her guitar and harp in tow, to Rimouski, the Gaspé and the Magdalen Islands. She will appear at screenings in women’s shelters and senior residences of Magnus Isacsson’s 2010 film Les Super Memes, where she will perform upbeat, cheerful songs, many of which she has composed. “Magnus is still very much alive, even if he died two years ago,” Bilodeau says of the beloved documentary filmmaker. She became politically aware years ago, when she protested against Canadian involvement in the Iraq war. “I started getting involved and at each march I would see the Raging Grannies. I asked myself, ‘Am I really raging enough to be with the Raging Grannies?’ You don’t get involved just like that.” A longtime peace activist, she is also a member of Ploughshares and several other social justice organizations. Working as a nurse in several hospitals for more than 25 years and at Info-Santé for 15 has given Bilodeau solid nurturing skills. Although she began piano lessons at 10, it was only in adulthood that she began to sing to her patients. She learned to play the guitar in her early 40s. Her efforts were greatly appreciated not only by patients, but by the staff as well. A television clip of her work with dialysis patients a few years ago shows Bilodeau by the patients’ beds, lightening the discomfort and boredom that can pervade a hospital setting. She does not like to call herself a music therapist, but says she likes to play music as therapy. “The harp is the most therapeutic instrument. It makes people calm and receptive, takes away anxiety and the masks begin to fall,” she says of the beautiful sound of the Celtic harp, which she discovered when she joined CAMMAC, a summer camp for amateur musicians. It was at CAMMAC that she met her harp teacher and began taking lessons at 72. Now adept at three instruments, Bilodeau is regularly asked to perform at benefit concerts and other special events in the community. She tailors her programs to her audience, usually playing her guitar and singing in French, English or Hebrew. She continues with a piano solo, and inevitably, plays the harp for the greater part of the time. “I’m an explorer,” she says. 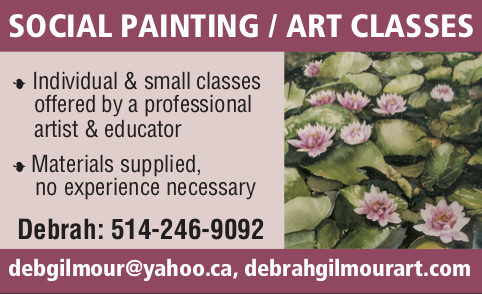 When not preparing concerts or protesting with the Grannies, Bilodeau, maman to five, granny to 10 and great-grandmother to one, is busy painting and writing. She has had three vernissages and has published several books. Whatever difficulties or disappointments in her life she may have had, she does not mention them, as if they are of no consequence. In her little pastel-decorated apartment in Côte des Neiges, surrounded by her instruments, photographs of loved ones and artwork she has created, Bilodeau projects inner peace, serenity and contentment. She says she has found her years past 70 to be an explosion of possibilities. “I believe everything in life happens at the right time, when you’re ready for it.